After two consecutive fifth place finishes in the Super 8s format, a repeat of that in 2019 will land Wakefield a play-off spot. Their transformation under Chris Chester has been remarkable and is built on a culture that is strong throughout the club and is showing no signs of being broken. They managed to ward off interest to keep hold of their star men, including Dream Team members Tom Johnstone and Bill Tupou, and their recruitment has been strong. 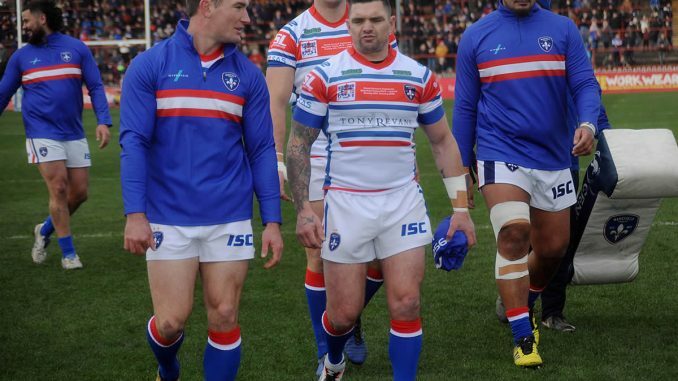 The return of Danny Brough is an eye-catching capture, and coach Chester hopes that he may well prove the difference for Trinity this year – with them losing out by a couple of points in a few games last season. Craig Kopczak is an experienced and reliable prop that can play long minutes, something which will become increasingly important with the reduced interchange; while George King also has Super League minutes under his belt. There haven’t been many departing the exit door, and as such, keeping doing what they have been may well be the mantra for Wakefield, who may also fancy a run in the Challenge Cup this year. Key man and captain Jacob Miller said: “We’ve done well the last couple of years and with the rule changes, if we can do that again and we get to play in the play-offs, that’s the aim. “The underdog tag sits well for us, we like to go into games with no pressure on our back. No one expects us to do any good or to win a game, so that probably suits the type of players and the group we’ve got. Wakefield kick-off the season with a visit to newly-promoted London Broncos on Sunday.